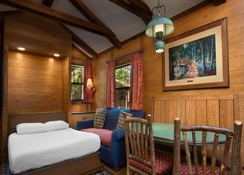 Disney’s Fort Wilderness Cabin resort is set on 750 acres of woodland and forest and offers guests the chance to experience the American frontier during they stay in Orlando. With a wide variety of wildlife, on-site restaurants, dinner shows and pools, there is something here for all the family. It is set in a convenient location for all the Disney attractions such as Epcot, Walt Disney World and Disney’s Hollywood Studios while also being close to the other main tourist spots in Orlando. 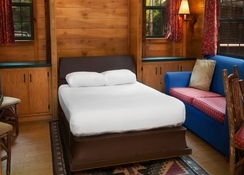 Disney’s Fort Wilderness Cabin gives guests the chance to stay in a wilderness cabin that sleeps up to six and if you want a unique place to stay then this resort provides it and more. 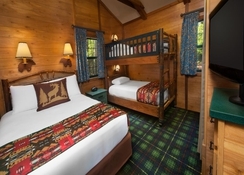 Disney’s Fort Wilderness Cabin is close to Epcot (5 miles), Walt Disney World (5 miles), Disney’s Hollywood Studios (6.2 miles) and it is also in a good location from which you can get to Universal Studios (13 miles) and SeaWorld (8.8 miles). The Orlando International Airport is 22.5 miles away. 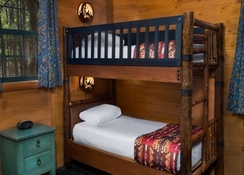 Staying at Disney’s Fort Wilderness Cabin Resort provides the chance to stay in a cabin in the woods that can sleep up to 6 people. You experience a wilderness stay while still being close to a range of on-site amenities. The cabins contain Wi-Fi, kitchen and seating and dining area with one queen bed, one bunk bed and one double size sofa bed. You will find many on-site eating and drinking options here. 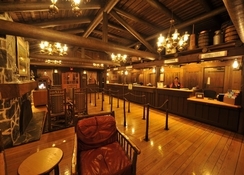 Trail’s End Restaurant has a buffet set up for breakfast, lunch and dinner with cuisine from the Old West, The Chuck Wagon provides snacks such as burgers and hot dogs while P & Js Southern Takeout is open for breakfast, lunch and dinner also. There is a backyard BBQ, dinner shows and snack bars at the resort. 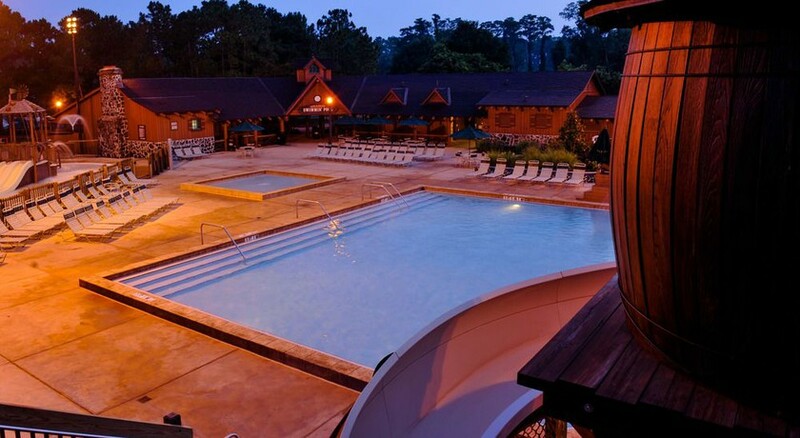 Disney’s Fort Wilderness Cabin has swimming pool with waterslide and there are also cycling trails as well as facilities for basketball, volleyball and archery. Guests can also visit the ranch, take part in campfire activities and enjoy a variety of outdoor pursuits. Watch a Disney movie under the stars or you can even hire a boat and Tranquilo Golf Course is only 1.6 miles away from the property.